Wow! What a fantastic book for teen readers! 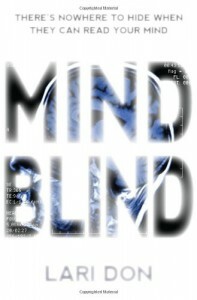 This has it all: murder, psychic powers, romance, chase scenes, dysfunctional families, emotional outpourings... boys and girls alike can find something to love about "Mind Blind." This was such an exciting and emotional read, that I can't wait to tell all of my students about it!